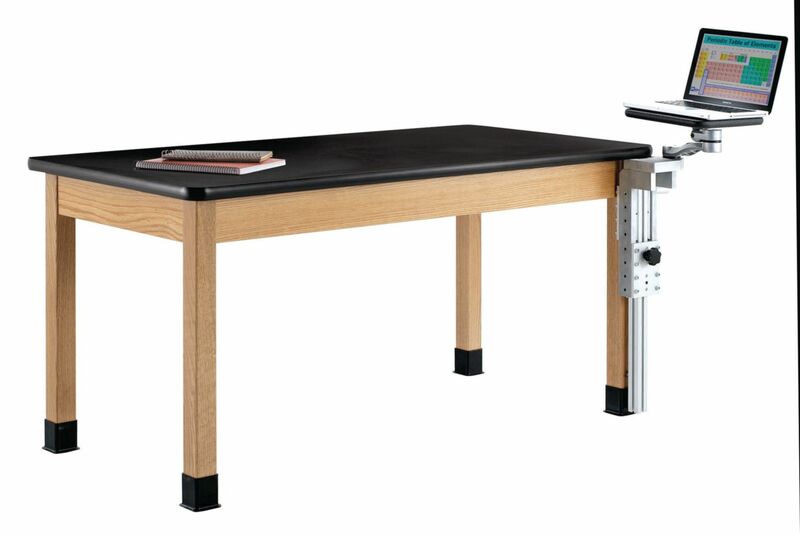 Create a universal workspace where all students can sit comfortably, regardless of physical size or special need, with this rotating table arm made of machined aluminum and composite materials. 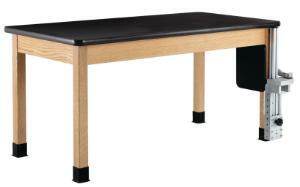 Students can pull out the platform and easily adjust to the desired height using the quick-release knob. The platform and arm attaches easily to any four-legged table and can be neatly folded under when not in use, without hindering leg space. 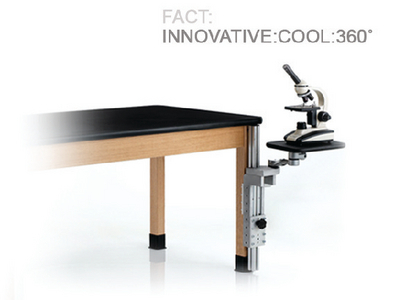 The arm neatly rotates 270 degrees, while the platform rotates a full 360 degrees, allowing for maximum flexibility.